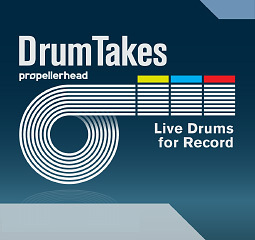 Record Drum Takes, Drum/Percussion Sample from PropellerHead in the Record series. 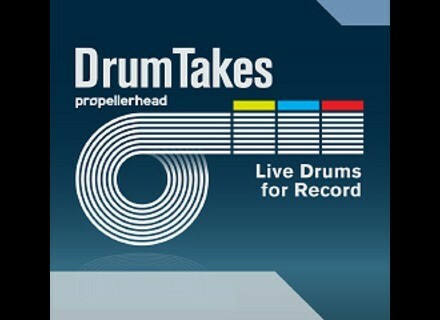 Propellerhead Software announced the availability of Record Drum Takes—rock and pop multitrack drums played by session drummers for Propellerhead's new recording software Record. Each Drum Take ReFill arrives in Record song format with two separate three minute backing tracks of live drumming, organized in classic song form with intro, verse, chorus, bridge and breakdown, fills and variations. According to Propellerhead, "Alt Rock comes with hard-hitting, American drums inspired by alternative and college rock, Folk Rock brings a large, warm sound, with plenty of room, while Dry Indie provides two classic, laidback, dry and distinct indie pop drum tracks." The differently styled tracks in the Record Drum Takes ReFills all come as multitrack recordings, allowing users to shape the drum sound by adjusting the levels of the independent kick, snare, hihat, room, ambient and other microphones. Cut across all eight drum tracks to arrange and rearrange once the drum sound has been mixed. Play along to the RDT drum arrangements, or paste them into an existing song. The entire drum mix will follow right along, and utilizing Record's automatic time-stretch, Drum Takes instantly adapts to the song’s tempo, PH says. The three Record Drum Takes ReFills Alt Rock, Folk Rock and Dry Indie are available for download through Propellerhead’s web shop today, at EUR €29 / USD $29 each. Soundhack +phasor Soundhack has released +phasor, a free phase shifter plug-in. Electric-Himalaya Dreamstate Electric Himalaya has released Dreamstate, a new sound bank for Applied Acoustic System's String Studio VS-1 acoustic modeling instrument. 9 Soundware Vortex Malström Patches Vortex is a set of patches for the Malström synthesizer within Propellerhead Reason: The collection showcases the Reason Device built on the Graintable technology, which is said to "blur the line between sampling and synthesis."